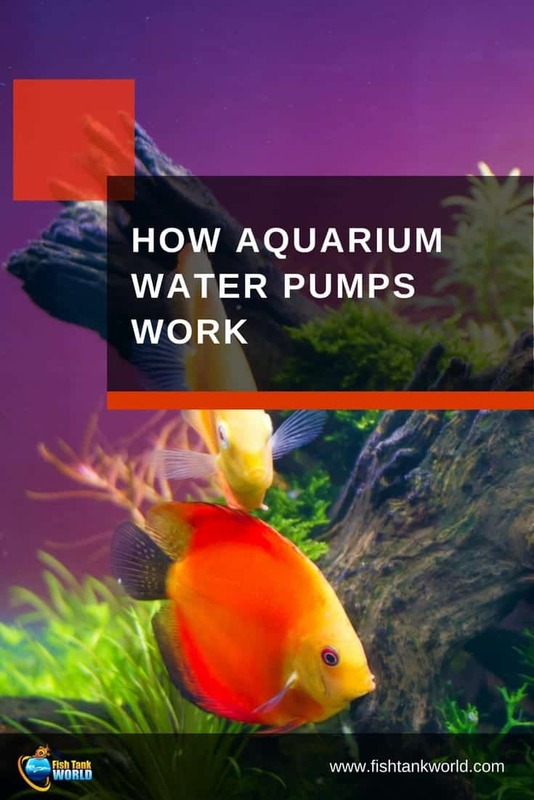 Have you ever wondered why you need an aquarium pump and how they work? 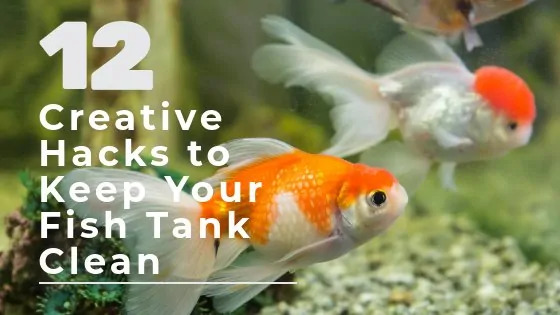 Aquarium fish, invertebrates and aquatic plants depend on a constant flow of water to supply oxygen, food, and maintain and consistent water temperature. Even the unseen microscopic ecosystem that biologically purifies the water needs water flow to remove harmful ammonia, nitrite and organic waste materials. Corals and other marine filter-feeders depend on water flow to bring in nutrients and flush away waste products. Aquarium filters are designed to capture debris and adsorption of chemical wastes by pumping water is pumped through filtration media. 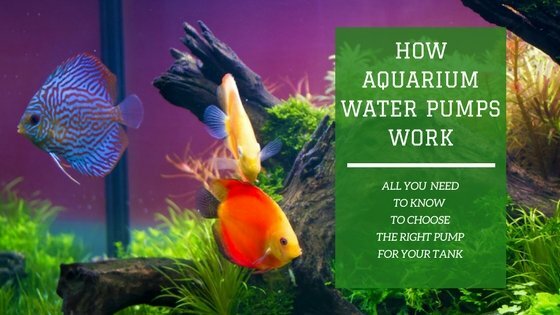 Today’s aquarist has a wide variety of aquarium-specific water pumps to choose from but not all of them work the same way. 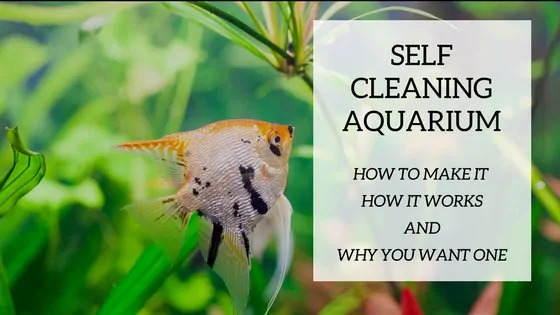 We’ll focus on what you need to know to understand how your aquarium pump works and what to look for when shopping for a new or upgraded pump for your tank. There are many kinds of water pumps but not all are suitable for use in our aquariums. For this article all references to water pumps mean equipment designed and sold for specifically for aquarium filtration and water circulation use. Our focus will be on return pumps, filter pumps and wave making pumps. All of these pump categories have several features in common. At the heart of every pump is the impeller. The impeller moves the water through centrifugal force. There are several impeller designs but all have some kind of straight or curved vanes. Some impellers are sandwiched between two solid plate (closed) or semi-open with only one plate. The impeller is attached to a spinning shaft, driven by an electric motor. Simply spinning the impeller will just create a lot of churning water that goes nowhere. In order to move water, the laws of physics must be obeyed! The spinning impeller must be surrounded in an enclosure to focus the energy the impeller gives to the water. As the impeller spins, water is pulled into the intake port. Kinetic energy from the spinning impeller is transferred to the water. The energized water is forced to the sides of the pump enclosure, which builds pressure. The enclosure or “pump head” is designed to guide the pressurized water out of the head through the discharge outlet. This is how a pump pressurizes and moves water. We all know aquarium pumps come in different sizes and flow rates. In its most basic form, a water pump has a fixed RPM, non-adjustable electric motor. Most pumps in this category have an RPM of 1750 or 3500 RPM. The faster the impeller turns the more energy is transferred to the water. Increasing the size of the impeller also increases energy transfer. The pump impeller creates flow, not pressure. The pump head design adds a restriction that creates the actual pressure inside the pump. The pressurized water is forced out of the pump and into the aquarium or through a filter. The design of the head casing, motor RPM and the impeller creates the pressure required to push the water from one place to another. The laws of physics put limits on how much water a pump can move. A tiny pump will never be able to move as much water volume as a large pump. There are two ways to couple the torque of the electric motor to the impeller. Direct drive physically connects the motor shaft to the impeller. A shaft seal prevents water from leaking from the pump housing. Direct drive pumps are built primarily for pushing water against resistance. In our case resistance is created when water is pumped through a large pressurized filter system or multiple large canisters. Pumping water a long distance or to great heights is the job of high-torque, direct drive water pumps. If you need to pump a large volume of water per hour, you will need a big motor and large impeller. You’ll find these characteristics in direct drive pump models. Magnetic drive pumps isolate the pump motor from the impeller and casing. The impeller is enclosed in the pump casing, completely isolating the electric motor from the aquarium water. Strong magnets attached to the pump shaft and impeller make the connection and spin the impeller. Mag drive pumps are very popular with aquarists. Because mag drive pumps don’t have a “wet shaft” there is no chance of a failed shaft seal causing a leak. The flow rate of traditional fixed RPM water pumps is controlled by throttling back the water with a valve. It can be argued that you’re not really “controlling” the flow, just restricting it. This seems like a waste of energy since the pump motor is working to push water against the partially closed valve. Fortunately, variable flow aquarium pumps are available that allow you to have full control of the water output of the pump. Regular water pumps run on AC current. The newer controllable water pumps run on DC current. Low-voltage DC water pumps use less electricity compared to traditional AC-powered water pumps. DC water pumps run cooler and transfer less heat to the aquarium. Overall, DC water pumps tend to be smaller in size than traditional AC water pumps. The DC pump’s flow rate can be precisely controlled with a wired control pad or a wireless app. Low-voltage is safer around water too! DC water pumps are used primarily as return pumps for circulating water through a sump and back into the tank. They are built for efficient water flow and low power usage in a low-pressure environment. Some DC return pumps have built-in flow modes. The pump will create tide patterns, surges and even slack times, just like in nature. Their precise flow control and small size make DC water ideal for running a protein skimmer too. Protein skimmers require precise control of water input in order to create wet or dry foam. Custom-designed needle wheel impellers are often used with DC skimmer pumps. The needle wheel design creates flow and whips up microscopic bubbles to foam skimmate inside the protein skimmer. DC pumps are perfect for fine-tuning a protein skimmer to make just the right amount of foam. Traditional water pumps are designed to be placed outside of the aquarium. External pumps are not waterproof and should not be exposed to water spray or drips. The most common use of external pumps is connected to a filter sump. The water pump intake is positioned below the water level in the sump. A bulkhead fitting with solid or flexible tubing is used to join the pump to the sump. Freestanding external pumps are also used with pressurized canister filters and for water recirculation. Submersible pumps are designed to be completely submerged in water. The pump motor and electrical connections are waterproof. Oil-filled submersible pumps contain mineral oil as a motor lubricant. Mineral oil is not inherently toxic bit a leak can ruin the aquarium. There is no reason to use an old-fashioned oil-filled water pump today. Aquarium pump manufacturers have created a variety of fully submersible, oil-free water pumps. Submersible pumps are used mainly in sumps and reef filter systems. They’re easy to use, just drop the pump into the sump and connect a return hose. Some of the newer DC water pumps can be used externally or submerged. They come with high-quality friction slip-fittings for PVC pipe and adapters, making external hook-up quick and easy. The friction fittings are easy to loosen and disconnect so pump removal is easy too. All water pumps eventually need to be cleaned, so anything that makes it easier is a big plus! These cool-running motors can be controlled with an app or a wired control pad. With the popularity of nano and small reef aquariums, the small, compact DC water pumps are ideally suited for nano under-tank sump filter systems. Internal All-In-One aquarium filters can be upgraded with the compact DC water pumps. Most AIO filters come with budget AC submersible pumps. A fully controllable DC pump is a retrofit that cuts electrical usage and heat transfer to the aquarium. Traditional powerhead pumps have a slightly different design. A series of wire coils, encased in epoxy, make up the bulk and weight of the pump. When plugged in, the wire coils create an electric field. A magnet-encased impeller sits inside the electric field, supported by an axel shaft. The electric field causes the magnet to spin, turning the impeller. The only moving part is the impeller, which turns on the shaft. This simplified water pump works well for continuous water pumping. Water flow rate is determined by the size of the coil and impeller. Newer DC wave-making pumps place the electric motor outside of the aquarium glass. The motor and impeller are magnetically coupled through the glass. The external motor eliminates heat transfer to the aquarium water and takes up less space than bulky traditional powerheads. Another plus to the DC powered wave makers is the ability to fine tune the flow rate. 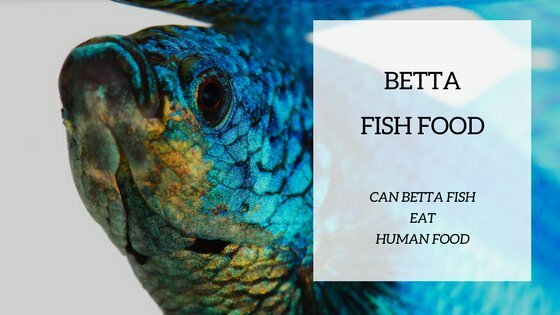 This is especially helpful when keeping corals, live plants and delicate freshwater fish. Some DC wave makers have built-in flow modes. The modes are water flow programs that mimic tides, waves and currents. The pump automatically changes speed to create a natural ebb and flow inside the aquarium. A feeding mode shuts down the pump for a few minutes so fish and corals have an easier time feeding. You can even control the pump wirelessly through the cloud and app features. DC pump design allows for soft start-ups. The impeller speed gradually speeds up when switched on. AC powerheads do not work well as intermittent surge or wavemakers. When AC current is switched on, the magnetic impeller can make a loud chattering noise. This happens because the magnet is caught up in between the electrical field. It can’t “decide” which way to spin. This can cause the impeller to spin forward or backward, depending where the magnet was positioned when power was supplied. DC pumps don’t suffer from this problem. The smooth, precise start-ups allow DC water pumps to create the smooth rolling waves and lagoon currents they’re famous for. Pumping water uphill is hard work. Gravity and friction inside the pipe, tubing and valves reduce the amount of water a pump can move. As the height increases, the resistance to flow also increases. The higher the head, the less flow you’ll get out of a pump. Water pump flow rates can be deceiving. The flow rate stated on the package or specification page is usually the maximum flow rate with no resistance to flow. 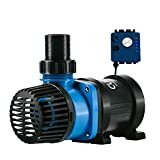 Who uses a water pump connected to nothing? Look for a chart stating the actual flow rate based on how high you need to pump the water. If you need 100 gallons per hour of flow, three feet above the pump, a 100 GPH water pump won’t do the job. Consult the flow charts to see if the pump can maintain 100 GPH at three feet of head. This is the only way to properly match a water pump to the flow rate needed in the aquarium. If you’re going to push water through a pressurized filter system, consider using a slightly over-sized pump. As the filter begins to clog the extra pump capacity can compensate for clogging. 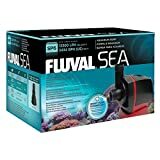 There are many great water pumps that will work with any size aquarium. By taking the time to research your water flow needs, you avoid selecting a pump that disappoints. Compare several similar models and don’t forget to check the warranty. High-quality water pumps come with at least a one-year warranty. Some aquarium pump manufacturers even stock repair parts so you won’t have to buy a new water pump if a single component wears out. Use this check list to make sure you have all the bases covered before buying your next water pump. Measure where the water pump will be mounted or submerged. Determine the desired flow rate and height you plan to lift the water. Compare pump dimensions and flow rates at the desired head height. Select the water pump that fits these specifications.